Denmark-headquartered wind turbine manufacturer Vestas announced a number of new orders across North America, South America, Australia, Europe and China. In the USA, MidAmerican Energy placed a 302 MW order for its 2,000 MW Wind XI project in Iowa – the turbines will be manufactured at Vestas’ Colorado factories and will be delivered in the second quarter of 2018. Vestas also secured an order for 100 V110-2.0 MW turbines, with delivery expected to begin in the first quarter of 2018, with commissioning scheduled for the fourth quarter of 2018. Vestas has received a firm and unconditional order from Parque Eólico de Bicentenario, a subsidiary of Petroquímica Comodoro Rivadavia, to supply and install 28 V117-3.45 MW turbines in the province of Santa Cruz, Argentina. In China, Jiangsu Sinojit Wind Energy Technology placed an order with Vestas for V110-2.0 MW turbines for the Xuanhuihe project under development in Hebei Province. 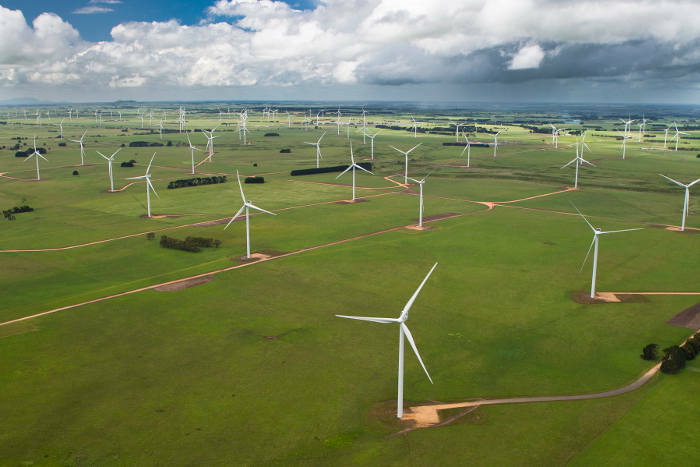 Tilt Renewables signed an engineering, procurement and construction (EPC) contract for the 54 MW Salt Creek wind park in Victoria, Australia. 15 Vestas V126-3.45 MW turbines will be installed on site. Finally, ABO Wind placed an order for four Vestas V105-3.45 MW wind turbines for the Cappawhite B wind farm in Ireland.